The President of the Pharmaceutical Society of Nigeria, His Excellency, Pharm. Ahmed Ibrahim Yakasai, FPSN, FNIM, FNAPharm was on Monday 28 December, 2015 honoured with a reception organized by a consortium of Non-Governmental Organization (NGOs) from across Nigeria and Africa. This group which was led by the Coordinator of African Health Budget Network, Dr. Aminu Magashi Garba pulled crowd from the civil society world at Lamido Crescent in Kano. The reception was attended by many professionals of distinction from within and outside the country. 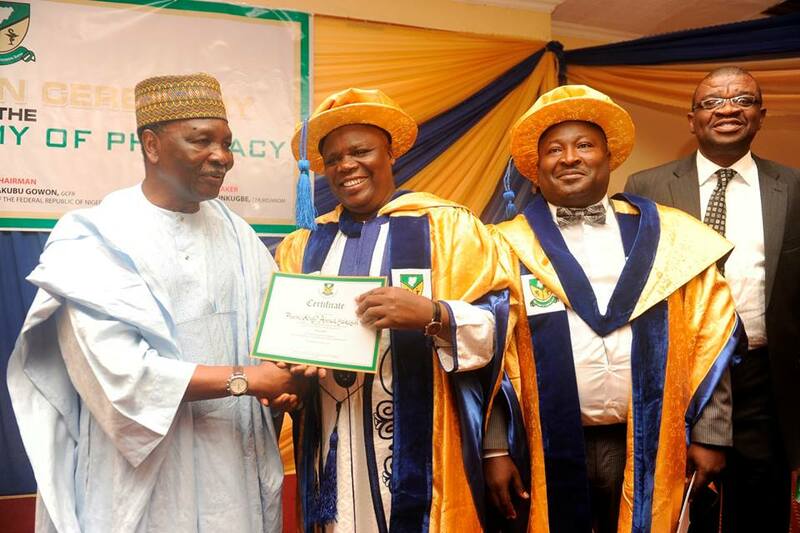 In his address, Dr. Aminu Magashi Garba noted that they came to join the fray in felicitating with Pharm. A.I Yakasai on his double feat achievements: first, on his emergence as President of the Pharmaceutical Society of Nigeria (PSN), and secondly on his historic appointment as Honorary Consul-General of Pakistan in Nigeria by the President of Pakistan. Dr. Magashi who was extensive in his speech traced their relationship with the PSN President back to over twenty (20) years ago, when he (Dr. Magashi) missed his way as a medical student union leader to Yakasai’s door step in search of sponsorship for their magazine and programs. To his greatest astonishment, he was warmly welcomed and offered generous support both in cash and kind. And later Yakasai became the Chairman of all NGOs in the North (Northern League of NGOs).This was the story of the wonderful relationship that blossomed and survived till date. He thanked the Almighty God for the double and rare honours on a man who deserved them and concluded by admonishing the PSN President to remain steadfast in sustaining his wonderful qualities of humility, sacrifice and love for community service, societal growth and development. In the same vein, the Chairman of the occasion Alhaji Adamu Imam said that discussing the man (Ahmed Yakasai) is a non ending discussion and could better be done by writing a voluminous book, which he admitted he may undertake later in the future. Continuing, he called on all to pray for the PSN President’s success in the two assignments for him to finish strong and with distinctions. Speaker after speaker took turns to testify to the qualities of the man whom they described as unique and a wonderful gift of God. While speaking, the former Chairman of PSN, Kano/Jigawa branch, Pharm. Aminu Usman, FPSN, FPCPharm noted that this great achievement that we are celebrating today are a cumulative results of hard work, dedication to work and humility that Ahmed Yakasai has imbibed and sustained right from his youthful days till date. He gave several instances in the past when they worked together as colleagues in service to the profession and humanity where these attributes were consistently displayed. 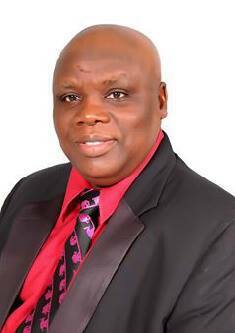 He noted that Ahmed Yakasai has always assumed his positions of responsibilities with distinction. In an instance he was surprised when he as Chairman of NAHAP and Yakasai as Secretary, the minutes of the meeting of the association was for the first time produced in less than 24hrs after the meeting. No doubt that he took over from him as Chairman of PSN, Kano/Jigawa branch in 1991. According to him, this is a rare trait of a potential leader which he has sustained over the years and this is the result today. He ended by calling on all and sundry to rally round the President and also pray for his success in these two wonderful/ special assignments. In his response, the PSN President who almost moved to tears thanked everyone for the surprised package of the reception by the consortium of the NGOs. He noted that most of the things in the testimonies which he may not even remember were done as a matter of habit and character inculcated in him and will continue to do his best to sustain to them till his last moment on earth. He thanked everyone for the support and encouragement and promised to do them proud in all the assignments. The occasion was witnessed by important dignitaries and the lem de lacreme of the civil society to include: Alh Adamu Imam of FHI and now an independent Consultant, Alh Rabiu Muhammad Jakada, Chairman, Kano Network of NGOs, Dr Muhd Sani Umar of WHO, Dr Musa M Bello of AKYH/BUK, Pharm. Ghali Sule, Chairman, PSN, Kano Branch, Yahaya I. Al Yakub of FHI, Dayyabu Muhd Yusuf of SFH, Pharm. Yusuf Babiye, Country Representative, JSI , Liberia and so many others.